Home Korean Artists BLACKPINK’s “BOOMBAYAH” keeps breaking barriers! 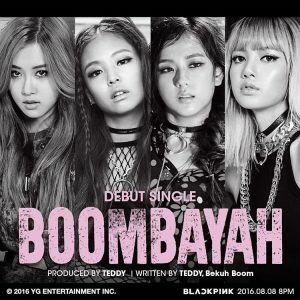 BLACKPINK’s “BOOMBAYAH” music video has reached four hundred million visits in the YouTube web portal,this is BLACKPINK third track to do so, their previous videos to reach such a high number of visits were “As If It’s Your Last” and “DDU DU DDU DU DU“; BLACKPINK is the first Korean girl group to reach this feat, of course, YG Entertainment did not miss this important event and placed a nice announcement to celebrate this great milestone by BLACKPINK. BLACKPINK is and will continue to give a lot to talk about, the acclaimed group formed by Jennie, Lisa, Ji Soo, and Rosé, they recently made a powerful collaboration with singer Dua lipa with the long-awaited song “Kiss and Make up”; The truth is that BLACKPINK’s ladies are rocking the world in a way that none of their predecessors had manage to do, their looks, moves, and vocals are outstanding. Many congratulations to BLACKPINK and BOOMBAYAH!